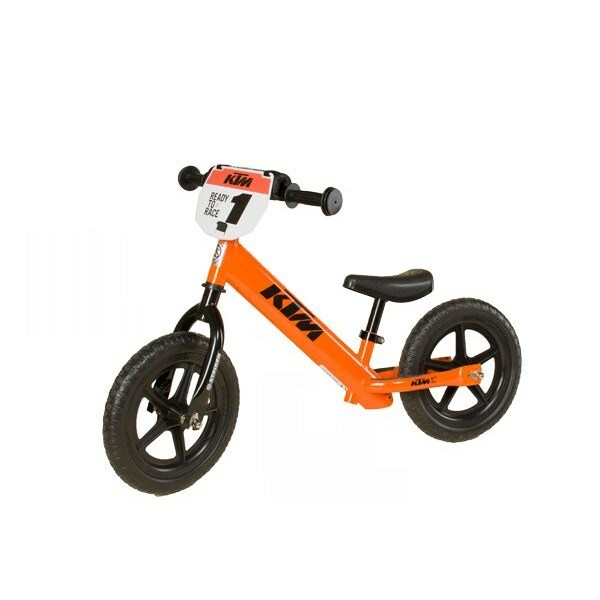 The KTM Strider is a revolutionary pedal-free bike that enables toddlers as young as 18 months to learn how to ride and balance on two wheels… years earlier than if they used the conventional tricycle or training wheel method. Most important, Strider™ teaches the skills needed to safely and easily transition to riding both a pedal bike and a Sportminicycle, making the first experience on each much more successful and positive. Bold KTM Styling: Color matched to the KTM big bikes with dirt-inspired action graphics.